Have you always wanted to belly dance but held back because you don’t “look like” a belly dancer? In Level 2 of this series, you will build on the skills you learned in Level 1, adding new ways to execute the moves you know as well as adding new moves to your dance repertoire. 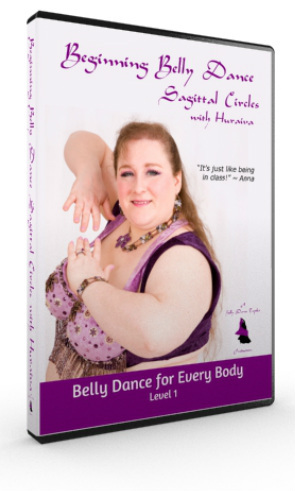 In this DVD, Beginning Belly Dance: Accents & Traveling Moves, you will learn how to turn the Building Blocks from Level 1 into accent moves, adding the punctuation to your dance phrases. You will also learn several traveling moves to allow you to move around your dance space with pizzazz. As you learn each step, you will combine it with a previously learned movement creating short combinations so you can see how everything fits together. You will also learn a short choreography to a drum solo. Take your next step in learning this dance form rich in traditions, and handed down through the centuries. Are you ready for Belly Dance for Every Body?